Worksheets. 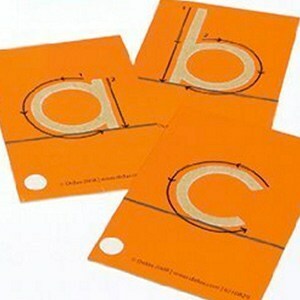 Wonderful, easy, boring, dull worksheets. Who wants to learn with those? Seriously, all of my daughters would prefer to have teeth pulled than to sit down and try to learn something with worksheets. My 3rd grader has never completed a phonics worksheet, but just tested at upper 4th grade level for reading. My oldest two daughters were testing in the 5th grade reading level by the time they finished kindergarten. No worksheets there either. So what did we use instead? 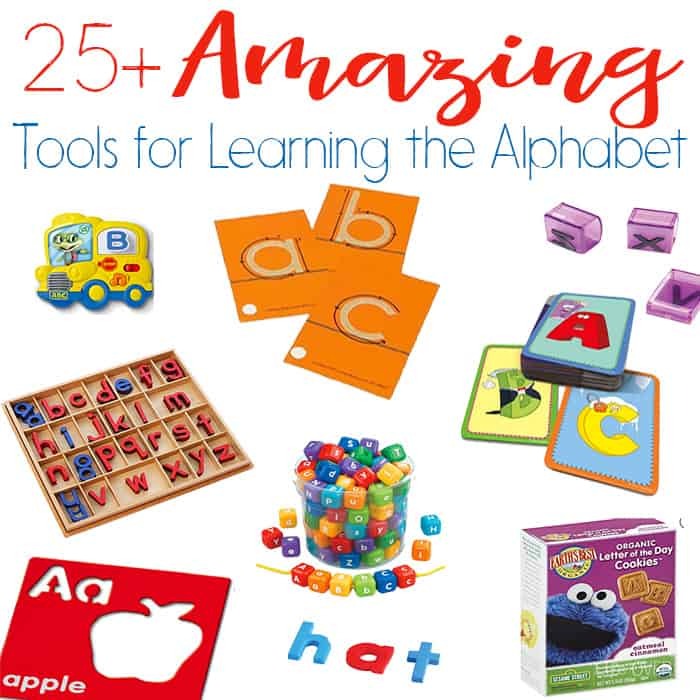 We helped them discover a love for learning with these 25 simple alphabet tools. Extra bonus, that we’ve been able to use these year after year no matter what learning style we were working with. 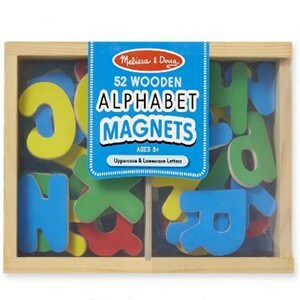 These alphabet magnets are more chunky than traditional magnets which not only makes them great for little hands, but they can add variety to activities after the kids are bored of the regular ones. 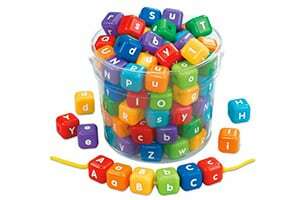 We loved using them in this alphabet I Spy Game and alphabet sensory bin! 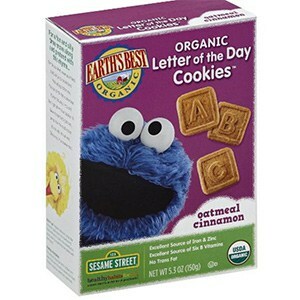 I love that these are shaped like the actual letters so that kids can feel the shape while they are playing with them! 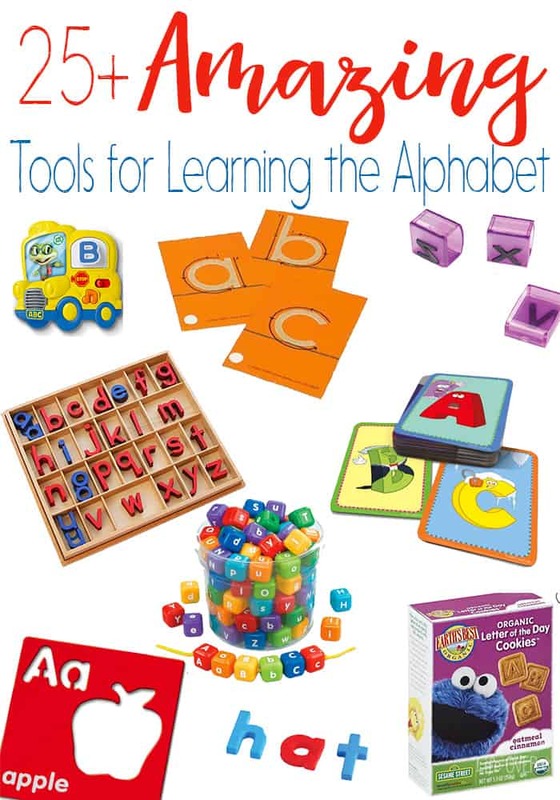 There are so many fun ways to explore with alphabet stamps and these are our favorite to use!! 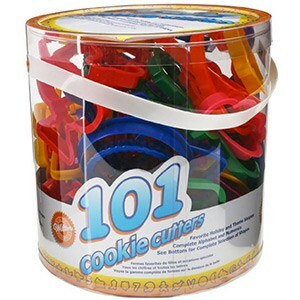 They offer an alphabet-only version, but since this has so many fun cookie cutters, it’s worth it to get the bigger pack. 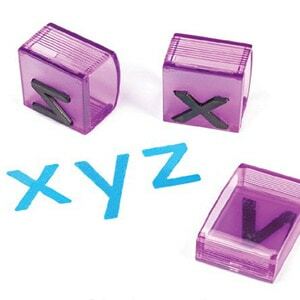 Great for learning about vowels and consonants! 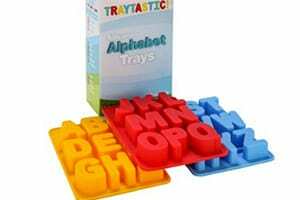 These differ from traditional plastic alphabet magnets because all the vowels are colored red and all consonants are blue. 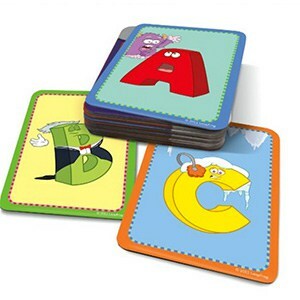 Just like the color-coded alphabet magnets, these alphabet tiles help kids easily see where the vowels are! We have been Rock ‘n’ Learn fans for years! We used shapes, numbers, money, physical science and more. 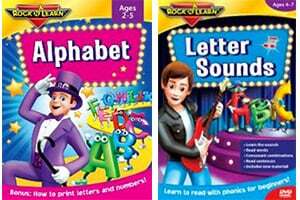 These fun DVDs put learning to songs, so that they are easy to remember. I have been listening to Tad sing the alphabet for the last 8 years!! We still use him every day! 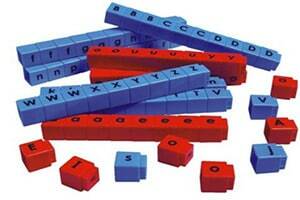 These are great for word building! 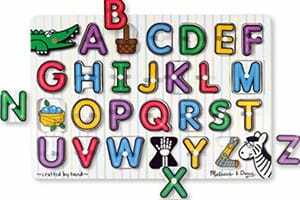 Good for practicing alphabetical order! 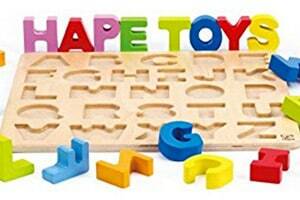 I love this alphabet puzzle because you can use the letters independently to build words. 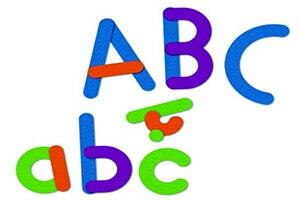 And because there are no pictures involved, the kids really have to pay attention to the shape of the letters as they are matching. 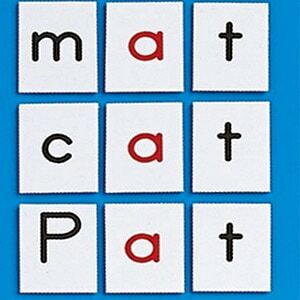 A great puzzle for introducing beginning sounds! 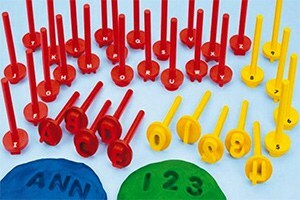 These alphabet stampers work on fine-motor skills as the kids learn about letters and spell words. 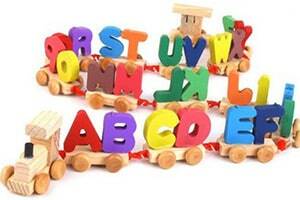 These are especially great for kids who need to focus on letter formation. 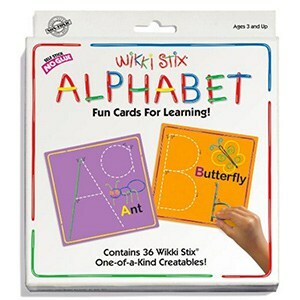 We love using Wikki Stix for all sorts of craft projects, so it’s fun to use them for learning the alphabet too! 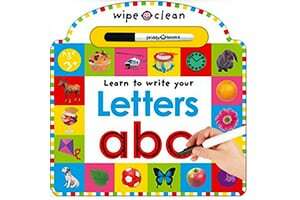 Great for introducing letters in a casual, fun way, these cards also give an introduction to beginning sounds and simple words. We have filled these with all sorts of things! Including using them for a science project! 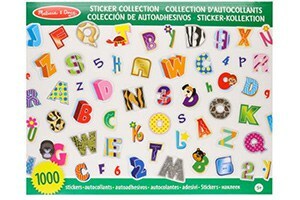 Whether you want to work on spelling, matching, or just have fun, kids LOVE these letter stickers! 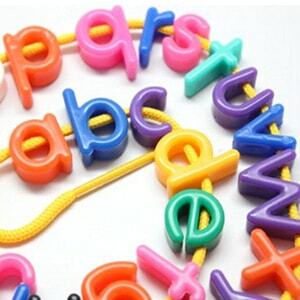 Easy for little hands to hold and thread, these alphabet beads are great for matching uppercase and lowercase letters, building words, and talking about colors! 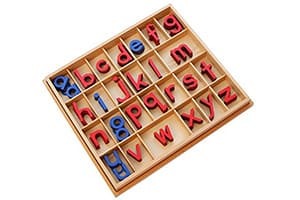 This is a Montessori set, but even if you are not fully Montessori, your kids can benefit from being able to build words, feel the letter shapes and have a great place to work on sorting! We don’t do a lot of ‘workbook’ time, but kids love to use dry erase markers! Plus, you can use it over and over! 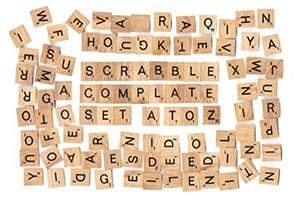 Not just for playing Scrabble. 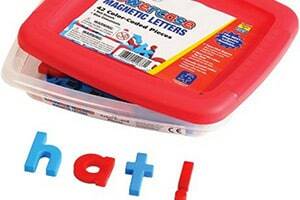 You can use this to play a memory game, spell words, or do an I Spy! 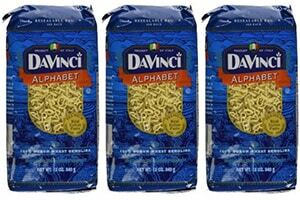 Learn about the alphabet and have a snack with these yummy alphabet cookies! Use for a craft project, sensory bin or just for a fun learning meal! 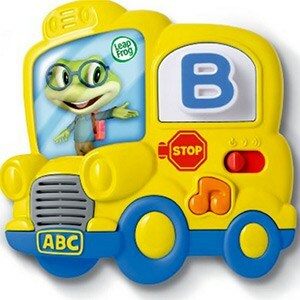 My kids have loved their Tag Junior!! 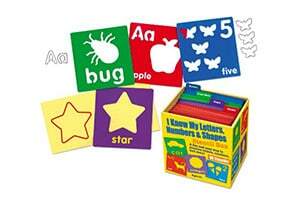 These cards are so fun for them to explore and provide a great, independent learning activity!